The title pic says it all :3c But click on the title pic or the cut below for details! Sales permission granted by dakajojo on Nov 18. 2011! My feedback thread is here. 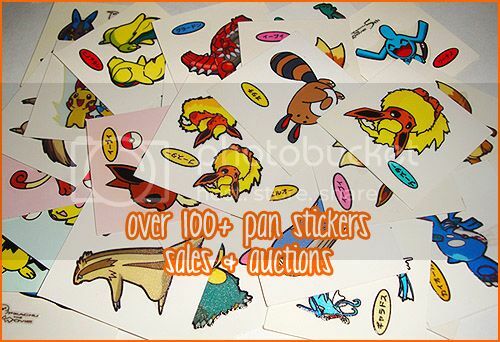 If you're bidding on the items, you can always combine with stuff from my sales too! Im back with the sales off my Legendary Beasts Trading cards. Please check the cut for the images and prices. I have a few reminders so here they go. A reminder about the zukan GB, we only need seven more claims. The Ditto GA is almost over so get those bids in. And a link to my sales, I'm getting rid of my TCG collection so I have most of the cards up so give them a look. Some pictures may be missing here and there but I will get that fixed. Well that's it. Have a great day or night. Credit to dakajojo for the format of this post and creating the first MCSML. Collection Site Name: Put the name of your collection site here. URL: Put the URL (link) of your collection site here. Tags: Put up to 10 tags here. Choose any Pokemon or Pokemon Trainer. If you only collect pokedolls, zukans or tcg (for example) you may use these terms as tags instead of specific Pokemon or Pokemon Trainers. This list is open to anyone who is a member of our community so long as your collection site is focused mainly on Pokémon and is compliant to our community guidelines. Please go here to review our community guidelines. Your collection site must be working and active. Random reviews will occur and if your link is found to be dead or inactive it will be moved to the revoked status for 30 days and you will be notified. If no action is taken on your behalf to make your listing active within this timeframe it will be removed from the Member Site Master List and you must reapply if you want your collection site to be relisted. What makes a collection site inactive? If it isn't updated, has broken images/links, ect. don't have a collection site? don't have a collection banner? You can easily make your own collection banner to exchange links with other users by saving this template to your computer. Open the template, add your own images and add some text with your favorite photo editing program to make your site banner. Open - The collection site is currently open. Coming Soon - The member has indicated that the collection site is under construction, and should open in the very near future. Hiatus - The member has indicated that the collection site is on hiatus, and should reopen in the very near future. Closed- This collection site is currently closed. Approved - Your collection site has been reviewed and will be added to the Master List. Denied - Your collection site has been reviewed and is not eligible to be posted on the Master List. A reason will be provided. Revoked - Your collection site has recently been reviewed and no longer meets eligiblity requirements. You have 30 days to respond with a working and active link or your site will be removed from the Master List. I accept Paypal. I will ship internationally, shipping from Canada. Received sales permission from lineaalba in Sept 2010. Today while going through my collection of poke-gear i remembered this item, i forgot to mention it in my last few get posts. It is an item i call the "Poke-Bowl", it is BNIP, i got it off eBay a while back, when i got it it was in 2 halves but i managed to put it together in the bag. It had a piece of paper on it stating it is a " Kraft Mac Cheese" bowl but i've been googling and cant find this promotion. Does anyone know when this certain promotion was? Any information on this certain item would be appreciated, Thank you. 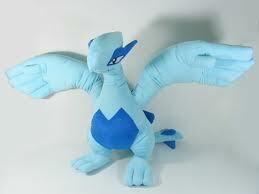 It's official, I have 50% of the Empoleon plush made (according to PPP). It feels great! I want to thank dezchu again for hosting the GA I won my new plush in! Meet my friends! Empoleon, Aragorn (prinplup), and Seattle (piplup). 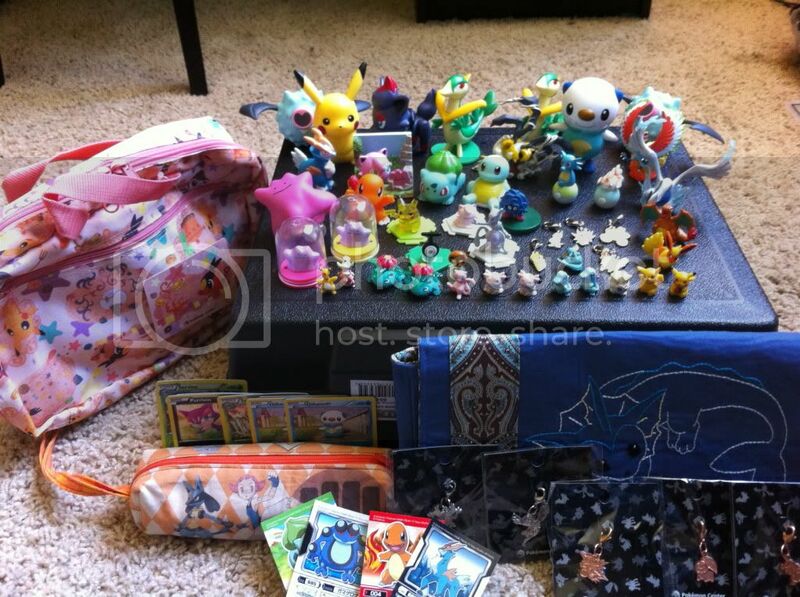 I have started sending out the Mewtwo and Wailmer GA items and I will try to send them all out by friday next week. Expect them soon! Cut isn't working.... is this happening to anyone else? 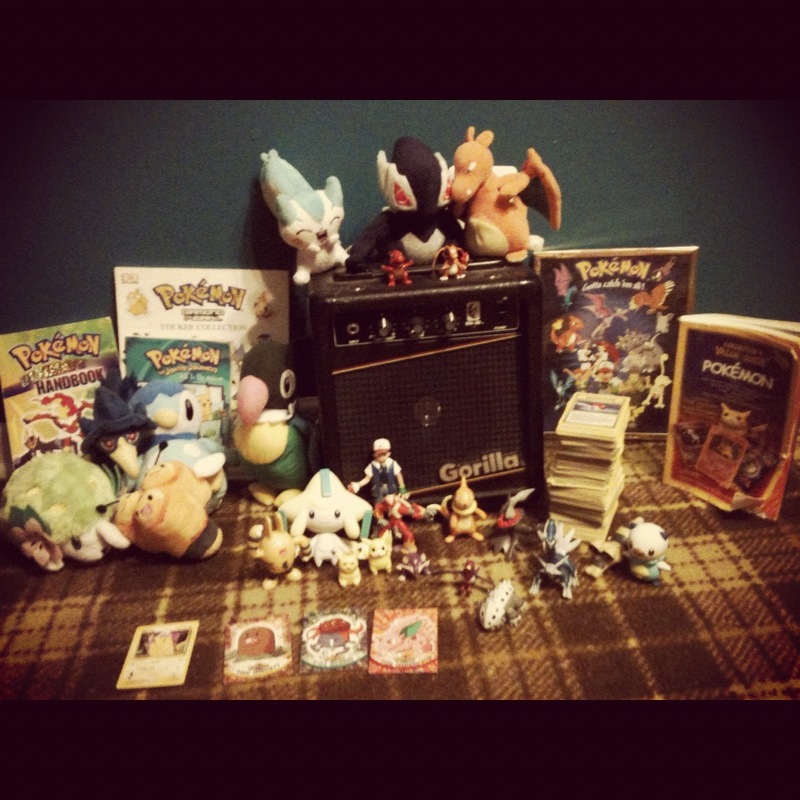 I found A LOT of my old merch from when I was a kid including (A FREE LITTLE GUITAR AMP!!!) 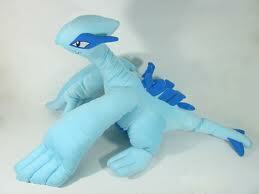 and my Shadow Lugia I've been looking for YEARS. It's the original one( I ordered it off of Pokemon Center when it first came out.) 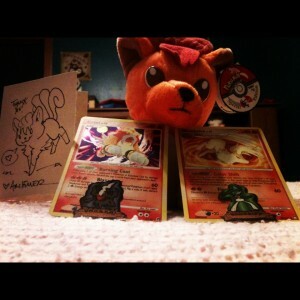 Another thing I found that I've been looking for is my Golden Tummy Charmander figure from... I think it was out of a Poptart box? Could anyone give me a quote on what both of them are worth? Today, I've decided to look for a lanyard, and I remembered how some pokemon have their own lanyards, such as Mewtwo and Jigglypuff. 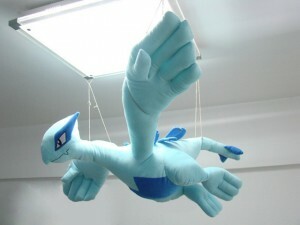 Just a boring wants post, but I'll post a collection update real soon, with lots of new pokedolls :p.
First of all, is anyone selling this bootleg Bandai Lotto giant Lugia? 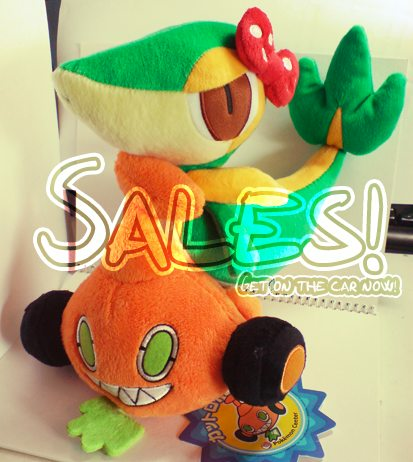 I lost him a couple days ago in an eBay auction because someone basically put their max bid in the last 2 minutes ;n;. 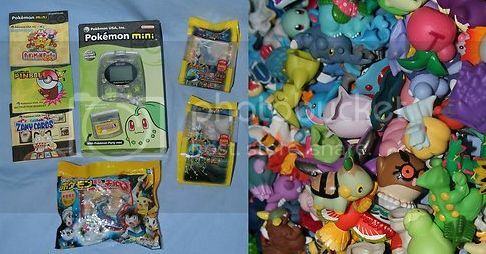 The reason I want the bootleg, is because the legit one is about as difficult to find as the Giant Pokemon center one. These were distributed in 2010 I believe, and were sold on eBay like any other bootleg. And since I wasn't able to win him, I have lots of money to spend, so take a look at my wants! 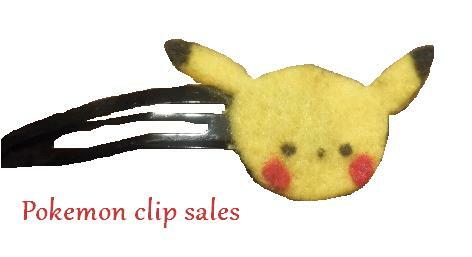 So since no-one asked for a commission for my hair clips I went ahead and made some to sell. Please check them out! I love to collect cute pokemon, and luckily I live near NY so I have access to Nintendo World =) I will be going to college in sept and we have direct access to a train to take us into the city. I won this Celebi in a GA a while back, got her yesterday, and I really can't find out that much about her! According to PPP, she's an "Ichiban Kuji" plush. Yet again, an item I'd like had shown up on ebay uk, and they don't ship to the USA. I was wondering if anybody could middleman for me please? <3 I'd really appreciate it! 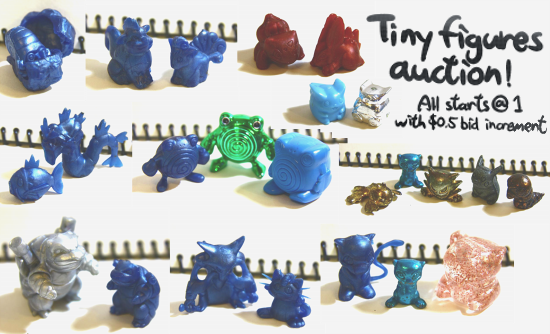 Brought to you by airinkitty and myself, we present this big lot of kids! PLEASE DON'T POST UNTIL I GET ALL THE THREADS UP! Firstly, I would like to apologize about the lateness of this post, but ever since I left Florida Supercon (which I volunteered at and partially shared with miss10 ) I have been nonstop, with flights to Puerto Rico and my native Venezuela where I am as I type this. Hi everyone!! I have a couple Group Buys I'm running... which need a few more claims! We won't be able to get our plush if the claims are not filled. This has been bought and is en route to me, you may still make claims. Also, I am auctioning my copy of Pokemon Conquest, They're out of stock on Amazon unless you want to shell out $40-50 to a 3rd party seller. My copy is in awesome condition with case, art, manual and game. 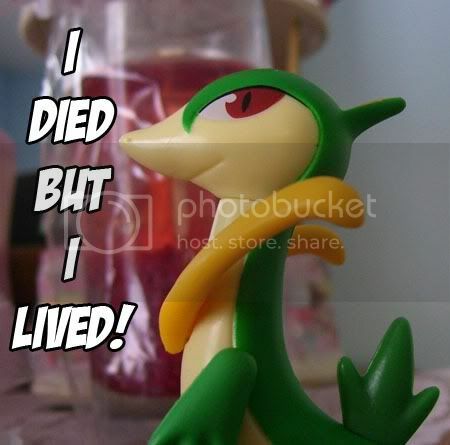 I used the code for Nintendo club, but not the Dratini code.